Sponge blasting is an innovative way to blast different surface types. The sponge blasting technique provides a minimal dust process with a low amount of containment. Sponge blasting applies a wide array of different media types, in different sizes and grades of media abrasives. Also sponge blasting can use medias that are very delicate in nature to highly durable can be applied for softer surfaces and ultra-delicate surfaces on any substrate. The sponge blasting technique provides a safe, dry and clean atmosphere when work is being done. With sponge blasting you can ultimately achieve sustainability, for superior surface treatment for restoration preparation. A sponge blasting on any surface is safe and environmentally safe. 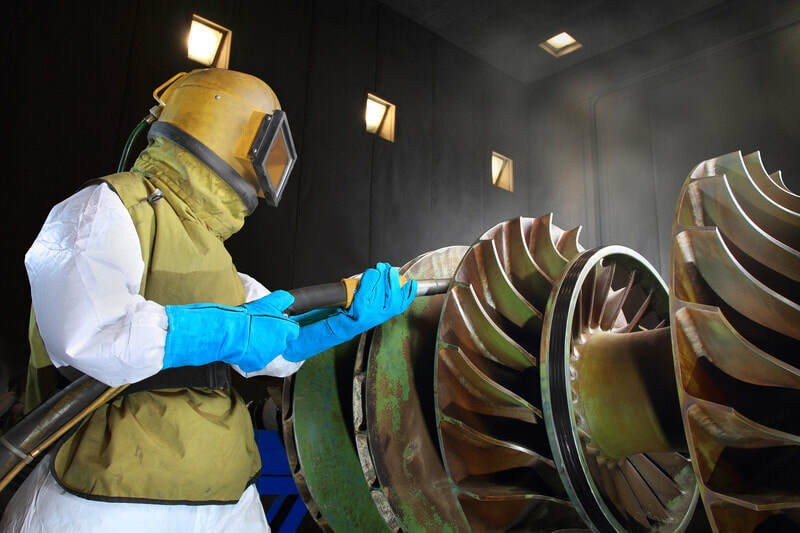 ​Sponge blasting is becoming more popular as a service as it is outperforming many outdated processes for treating surfaces before they are finished with different coating applications. Sponge blasting provides a myriad of applications that are unique for the removal of different coatings and also provides a strong aggressive profiling application for any substrate. The Sponge blaster uses different types of polyurethane foam with microscopic abrasives. These little foam sponges are propelled at high pressures allowing them to successfully penetrate the surface for removing the different elements that are on the surface. The media used will flatten on the surface which will then rebounded off of the substrate, removing layers of contaminants, coatings and much more. 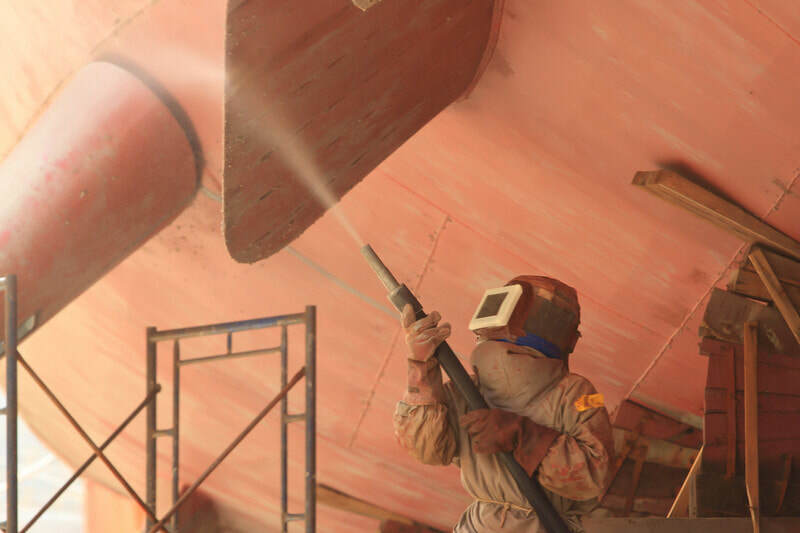 ​Sponge blasting has enabled the use of blasting to fit most applications to give one of the best surface treatments so primers and coating can be applied to the surface and adhere properly. Call Today for a consultation on sponge blasting! Sponge blasting is a great service that's effective and efficient for removal of many coating layers to prep the surface for finish. With this service this will remove graffiti, grease and oil and heavy duty paint and coating removal. It's also great for removing lighter coatings as well as heavy rust. 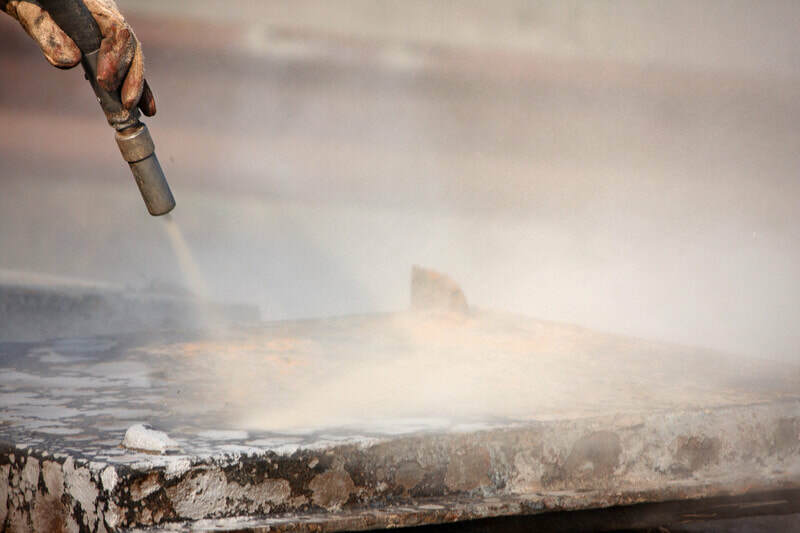 Jacksonville Sandblasting will ultimately get you the best cleaned surface for preparation of whatever finishing will be applied to the surface. This service is an option that can be applied to various substrates for stripping and cleaning them off. This service is highly popular for commercial and industrial uses as well. ​This provides one of the best solutions for creating a dust free environment while cleaning any surface. It is also a highly recommended service for profiling projects. Our blasting technology is great and advanced for removal of many different finite layers. Layers such a grime, paint or any other covering, we can remove them without damaging beneath the substrate. We can do precise cleaning and surface removal on any substrates. Our service will provide you with up to 30 times faster techniques than using any older hand wiping methods. We provide the tools to strip a variety of agents that maybe on the substrate. Also we do the work with safety in mind using no chemical pollutants to be blasted around. ​We can perform the work while inspecting as we going along with visibility, while exfoliating the substrate without damaging it.